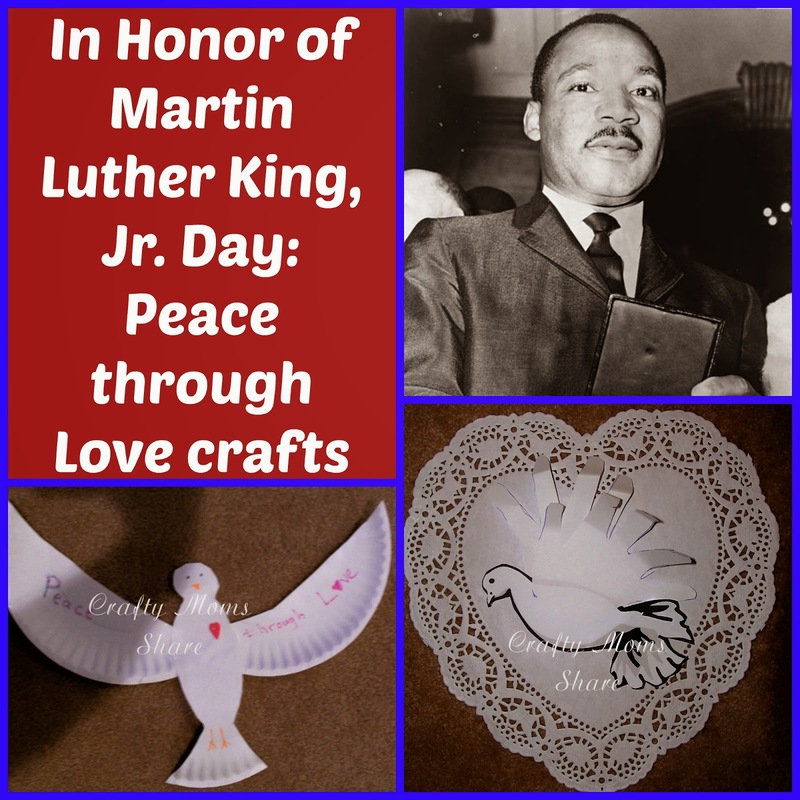 Peace Through Love teachings of Dr. Martin Luther King, Jr.
Monday the United States celebrates the holiday remembering Dr. Martin Luther King, Jr. Last week I shared a simple craft and a round-up of books to learn about the holiday and about the life of Martin Luther King, Jr. Since Dr. King believed in change through peace and getting rid of hatred by love. "Darkness cannot drive out darkness only light can do that. Hate cannot drive out hate, only love can do that." -- Martin Luther King, Jr. I wanted to do some crafts involving symbols of peace and love. I went looking for some inspiration on Pinterest. 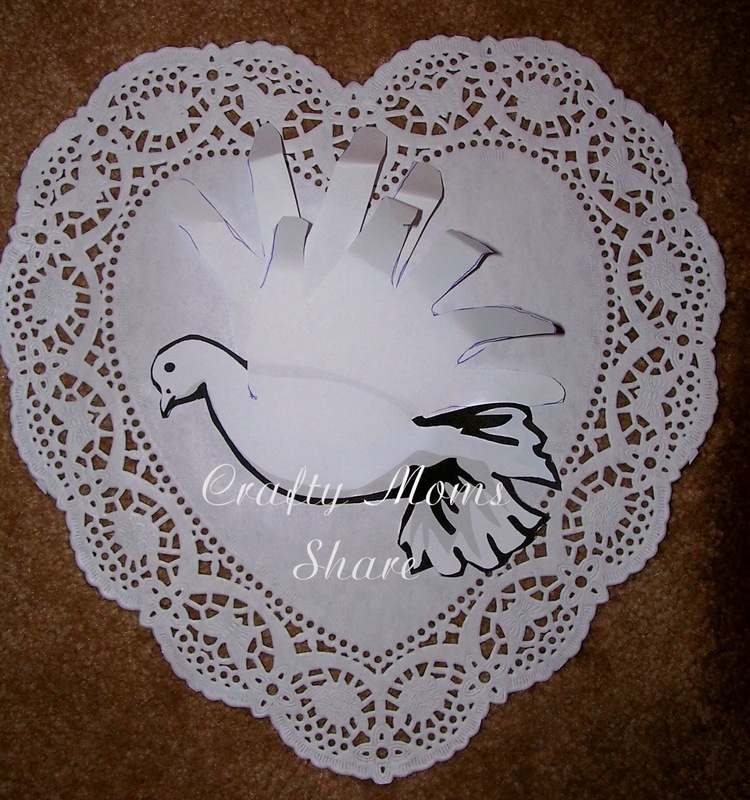 I knew I had pinned some dove crafts in my Religion/Church Board. For my first craft I was inspired by Holy Spirit Craft - Make a Dove from a Paper Plate on Catholic Icing. This craft is easy. You draw the head to tail body on the plate and cut it out and then use the scraps to get the two wings. You add a face and feet and glue the wings on. Then I added a heart button and the words "Peace through Love". Now we have a visual reminder of Dr. King's teachings. 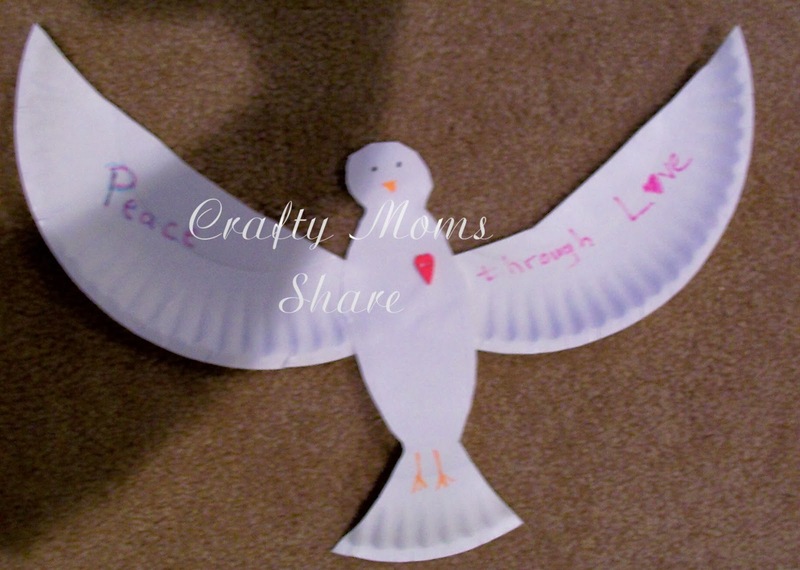 For a similar craft I was inspired by Handprint Dove on Free Kids Crafts. I used Hazel's handprints for the wings and the printable provided by Free Kids Crafts. Then I glued it on to a large heart doily (which Hazel is using for her Valentines). I thought it made another nice visual of Dr. King's teachings. For more ideas check out my Civil Rights/MLK Pinterest Board and join us tomorrow for some more on Martin Luther King, Jr. including more books to share and more crafts! !